Beans have long been a staple of diets in Mexico. Mexico is one of the largest exporters of the legume, and it turns out that Mexicans enjoy some of the lowest rates of obesity, cardiovascular disease, diabetes, and other degenerative diseases in the world. The National School of Biological Science of the National Polytechnic Institute launched a study into the health benefits of beans, specifically the Jamapa variety of black beans, to evaluate the legume’s antioxidant and antihypertensive qualities. The proteins found in beans also remove heavy metals from the body. The study found bioactive peptides in black beans that have benefits in lowering blood pressure and oxidative stress. The testing revealed that the nutritional components of the beans, such as carbohydrates, proteins, starch, fats, and phenolic compounds, have health benefits that prevent health issues with the heart as well as obesity. The researchers isolated proteins from the seeds, as well as using computer simulations to determine how the proteins would behave in certain biological processes. It was determined that the beans released peptides with antioxidant and antihypertensive properties when consumed. The work won the researchers the National Prize in Science and Technology of Food in the Business category for Food Science by the National Council for Science and Technology (CONACYT). The award aims to promote research in the food and beverage industry to find health benefits of food and drink. The researchers hope to determine all the health benefits of beans and remove all the non-nutritional components from the black beans, leaving only the “good stuff” that will help with heart health and maintaining a healthy diet. Since eating black beans lowers glucose, it also has benefits for patients with diabetes. The proteins found in beans could be used to produce healthy foods. In the meantime, you can enjoy the health benefits of black beans by adding them to your grocery basket and making the legume a regular part of your diet. 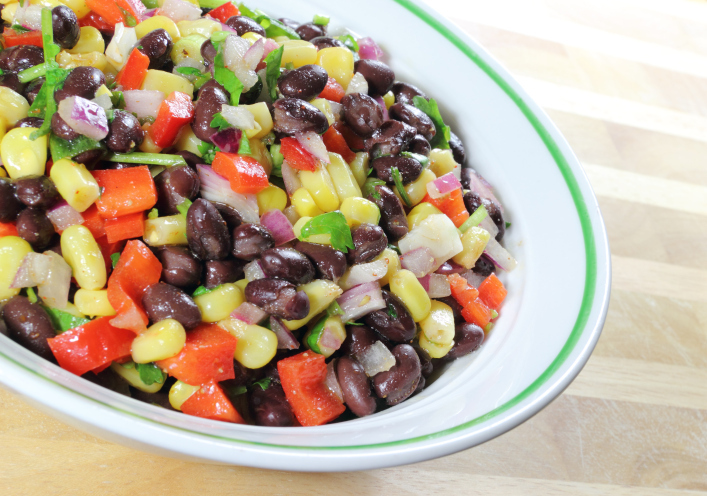 You can find plenty of recipes that use black beans online to add even more variety to your diet. Black beans can be enjoyed in everything from soups to salads to salsas and other foods. There’s even a black bean ice cream! Regardless of whether or not you are at risk for heart disease or diabetes, or you just want to start eating healthier, black beans will be a welcome addition to your diet! “Antihypertensive and antioxidant activity in black beans,” Medical News Today web site, July 16, 2014; http://www.medicalnewstoday.com/releases/279614.php. “Black beans’ antihypertensive and antioxidant activity,” Health, Medical and Science Updates web site, July 12, 2014; http://www.stonehearthnewsletters.com/black-beans-antihypertensive-antioxidant-activity/nutrition-food-legumes/. “Researchers evaluate antioxidant and antihypertensive activity in Jamapa black beans,” News Medical web site, July 12, 2014; http://www.news-medical.net/news/20140714/Researchers-evaluate-antioxidant-and-antihypertensive-activity-in-Jamapa-black-beans.aspx.